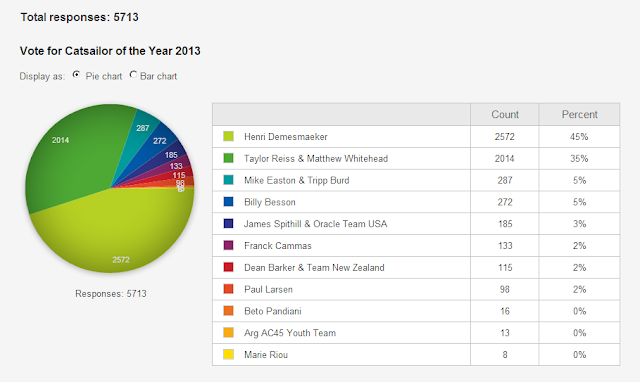 Henri Demesmaeker voted 2013 Catsailor of the Year. Poll closed today Dec 1, 10:36PM Buenos Aires Time. 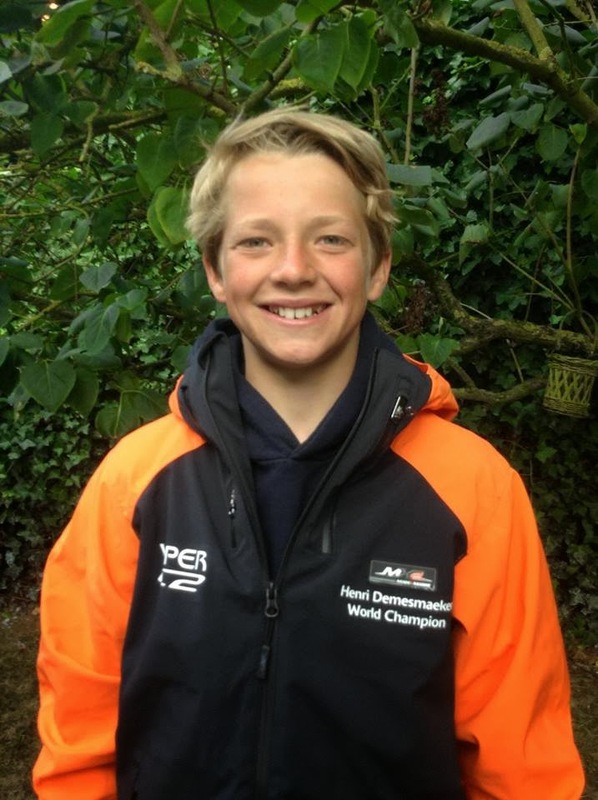 Henry got a WC of his own sailing with 2X F18 WC Jeroen Van Leeuwen, together they managed to grab the Formula 16 Worlds. What is so special about Henry? Well, becoming WC at 12 Yrs old is a quite remarkable achievement. having Jeroen as crews was a super plus help, but Henry was the one helming at the nice windy conditions at Travemunde.